Android on TV is not just movies and songs but also millions of apps and games. This firmware provide Full Android Experience with NO Limits. With Android you can run all standard Google Play apps and also apps made specifically for Android TV. Please read the 2nd and 3rd posts for How-to's and other info BEFORE POSTING! 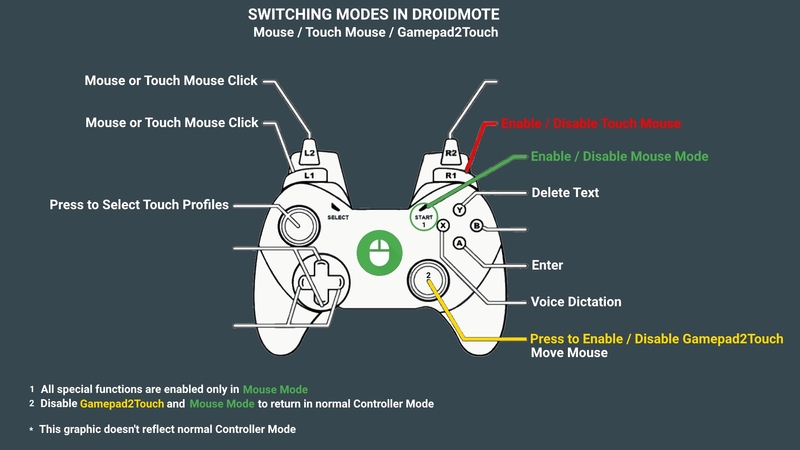 For the best interaction with Android from your couch i suggest DroidMote, because with DroidMote, multi-touch is not a problem on TV. And especially in Oreo the Touch Mouse will help you in many situations where only the normal mouse is not sufficient. Also with the videos inside the Chrome Browser. Old and new Nvidia Controllers in wireless mode and also with MIC and audio via controllers. *** Once your Shield TV 2015 has upgraded to stock Nvidia Android TV Oreo, you CANNOT LONGER DOWNGRADE THE BOOTLOADER (blob file) to Nogaut or older, otherwise you will HARD BRICK your device. While you DON'T FLASH WRONG BOOTLOADER and be able to boot into fastboot/bootloader mode, your device will be recoverable. *** If you are on a Windows PC, download and install Nvidia ADB/Fastboot drivers while booted up in Fastboot mode for your device to get recognized. The Magisk patched boot image already root your device, you need to install only the Magisk Manager apk after the first start. For the SATV 500GB Pro model, instead of using fastboot -w to clear data / cache, you can use the TWRP recovery to clear data and cache ( to avoid 2 hours of formatting data, because you have a large HD ). restored old mouse behaviour before Oreo. Because Nvidia messed up with many things in his Oreo firmware. The problem is that Nvidia use a very old Oreo AOSP source code and add modifications not in line with Google guidelines. Corrected the annoying bug that not permit the scroll of AbsListView with the mouse. Based on latest 7.0.1 Nvidia update. You can hide completly the Navigation Bar. When you use DroidMote or others remotes, you don't need the Navigation Bar. This happen only on Shield TV and few other devices because on Shield TV the default sqlite journal mode is set to WAL ( Write-Ahead Logging ) and Magisk not take in consideration this. When journal mode is set to WAL there is a selinux problem on autogenerated sqlite files /data/adb/magisk.db-WAL and /data/adb/magisk.db-SHM and therefore the /data/adb/magisk.db database can't be read or write. features, you need to install both DroidMote Cient and Server in your Nvidia Shield TV. Once you install them, you need to START the Server, then CONNECT DroidMote Client to the Local DroidMote Server (127.0.0.1) and enable droidmoteIME. Download this archive, unrar and copy in the vendor/app folder. Android TV settings > About > Build (it's located at the very bottom), hit the build option 5 to 7 times, then a toast notification will appear mentioning that Developer mode has been unlocked. 4. Install and Open QuickShortcutMaker app. Full Android (AOSP) settings > Display > Sleep or simply wait the 5 minutes. Is the Nvidia Controller 2017 bluetooth that when resume from sleep send a pause event. Is not a problem of the firmware. When Full Android is installed, by default the 2nd USB port of the Shield TV 16GB 2017 work for ADB/Debug only. 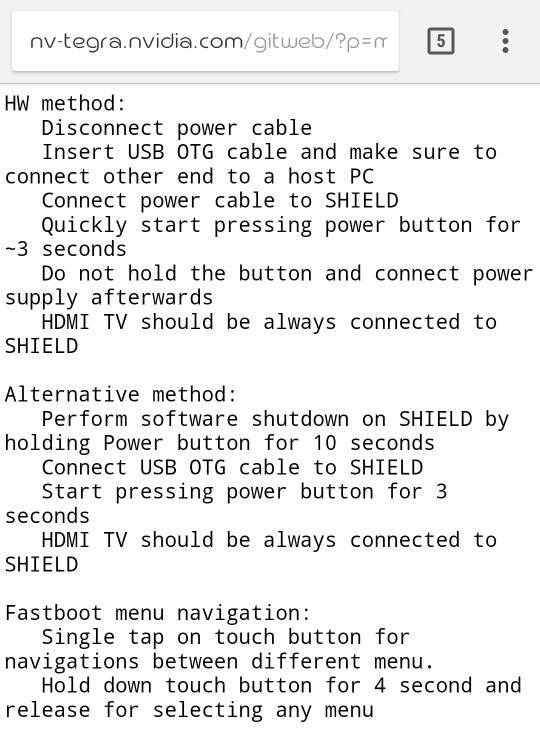 YOU MUST FACTORY RESET YOUR SHIELD TV AFTER THIS because the firmware must start with this string already inside the build.prop for it to work. Fastboot -w Is necessary to avoid conflicts between android tv apps and full Android apps. Without fastboot -w, the device will not boot up correctly because, if you come from Full Android, you have installed full Google apps. When you have Android TV Oreo, you can install the Full Android Oreo following the instructions in the first post. I am so grateful to you for all the hard work you have put into this. It's amazing that you can complete Oreo in such a short space of time. Fastboot -w Is necessary to avoid conflicts between android tv apps and full Android apps. Without fastboot -w, the device will not boot up correctly. What's the actual reason for going this route as you have to anyway flash to make the 2nd USB port available on 2017 16gb Shield. Would appreciate the feedback thanks. Maybe i not explained well. Yes you must install stock firmware, and i called it Nvidia recovery firmware 7.0.1 in my previous post. Also from Nougat 1.4 you can follow the same procedure. 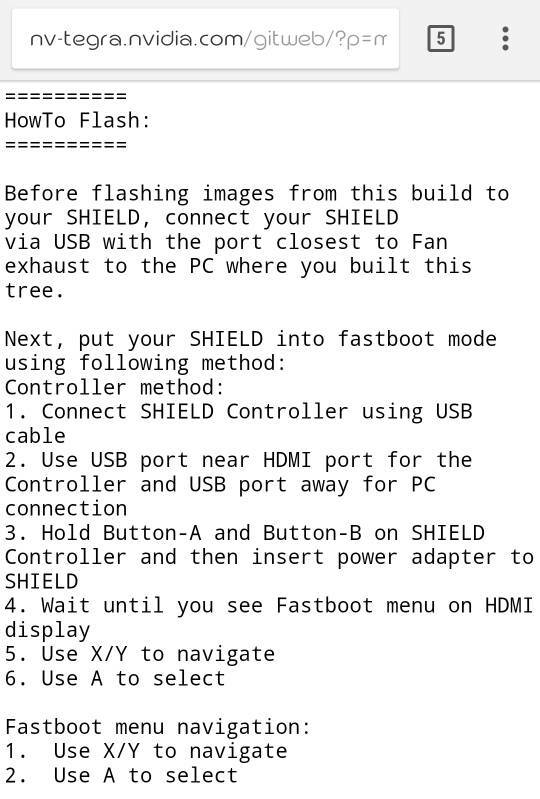 I suggest this procedure so users can update the bootloader with the Nvidia procedure and without install it manually. In the past we had only the OTA, now we have the Nvidia recovery stock firmware 7.0.1 online on Nvidia website. Flashed as per instructions and had a fair few issues. C. Shield Remote random disconnect. I was already on 7.0.1 but flashed the recovery firmware first before hand and wiped userdata. Any reasons you can think of to why it's failing even after a second reset? Thank you Zulu, this is amazing rom. specially becouse i have to use other tv for twrp, it not work with my 4k tv. I noticed after reboot Magisk ask root permission for Droidmote, it wont save other app too eg. Buildprop editor. Magisk is 16,04 Manager 5.7.0 modules and hide work like it should be. MiikkaKoo wrote: I noticed after reboot Magisk ask root permission for Droidmote, it wont save other app too eg. Buildprop editor. this happened to me one time. but now magisk remember the permissions. let me know if this happen after a wipe.